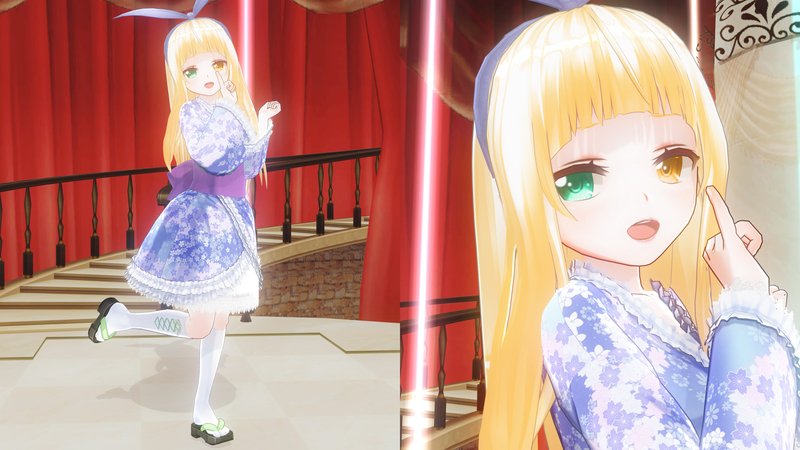 Alice is a innocent type vate and is one of the three major deities of Lost Illusion, along with Maayaa and Vierge. She appears physically during the events of fiction Chronicles: Concert of the Morning Moon, accompanied by her two handmaidens, Elba and Ludia. 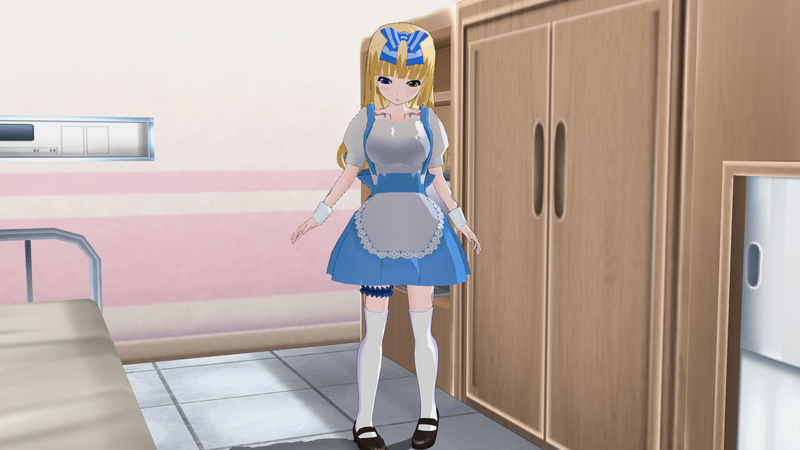 Alice wields a large orb named Gensou Tengoku (幻想天獄 Illusory Heavenly Prison), on which she usually sits on. Her true name is Ouryuu (黄流 Ouryuu). 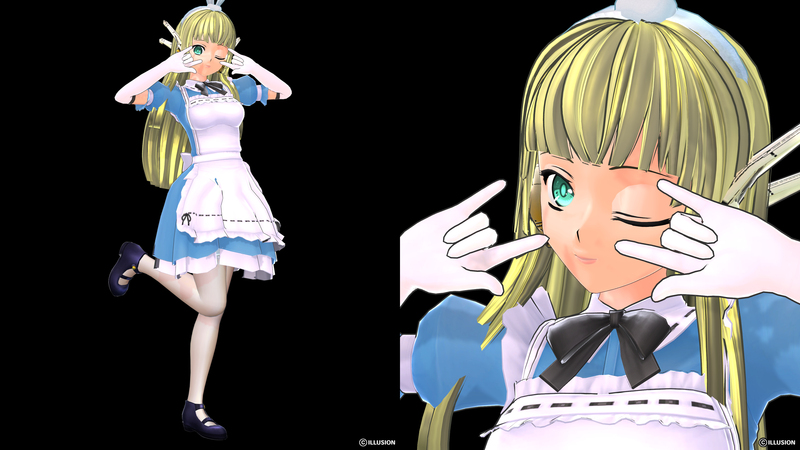 Alice's name and design are a homage from Shin Megami Tensei. She is 134 cm tall and weighs 31 kg. 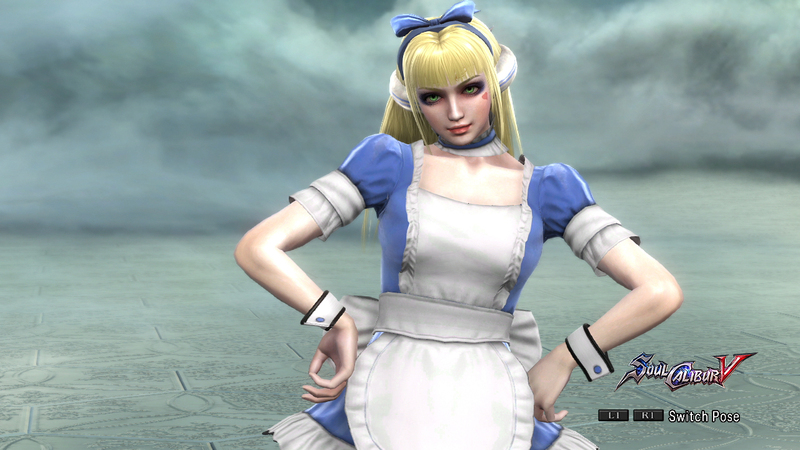 Alice's design is inspired by Kazuma Kaneko's Alice from Devil Summoner: Raidou Kuzunoha series. 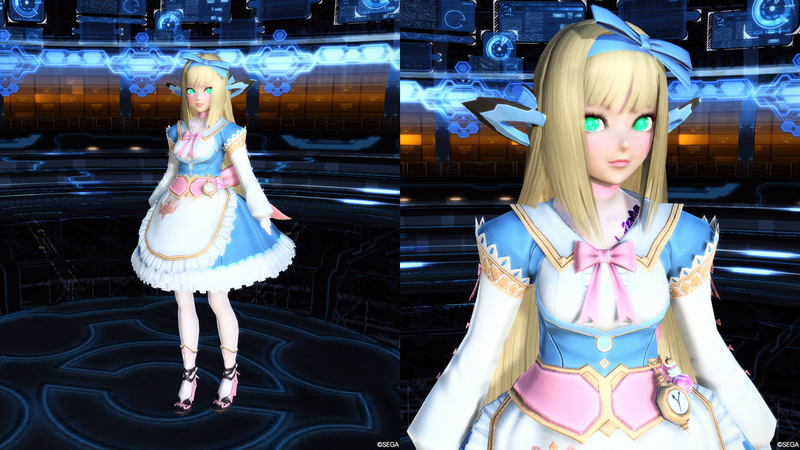 The outfit was previously worn by Fey, but I decided to give Fey a new one and give Alice her current. This version was made after completing her SC5 version. I really like how Cassandra's top fits her perfectly and the ribbon on her back. However, she lacks the bow on her headband. While close to her SC4 look, I like this version better because of the very fitting headdress bow. 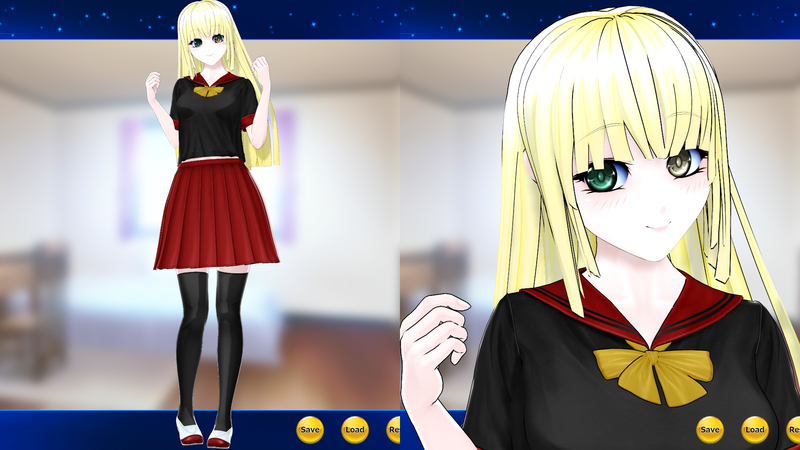 I removed the tartan pattern so her stocking can stand out more, in addition of striped underwear. 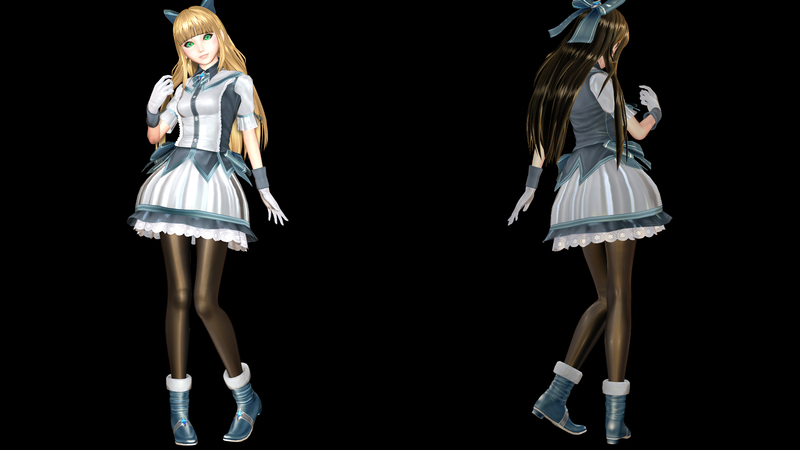 Appearing with her trademark big bow on her back, Alice looks really cute with Guo Jia's moveset. 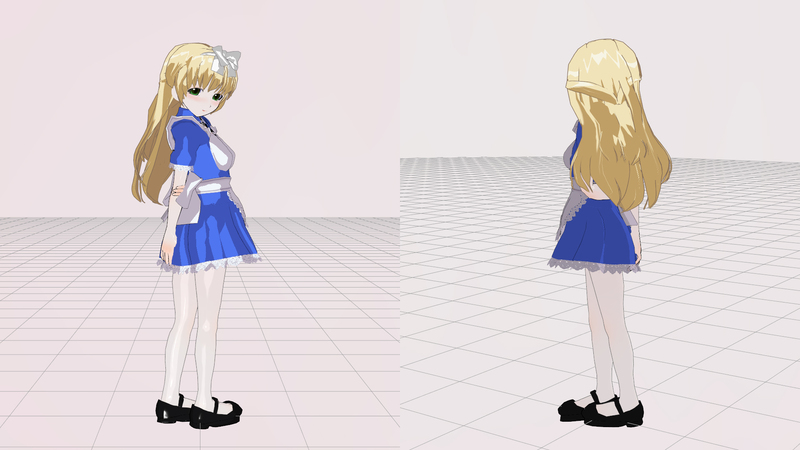 Shame that I cannot make her shorter though. Affluent fame was chosen because it deals with money, representing prosperity of the Innocent type Vate. 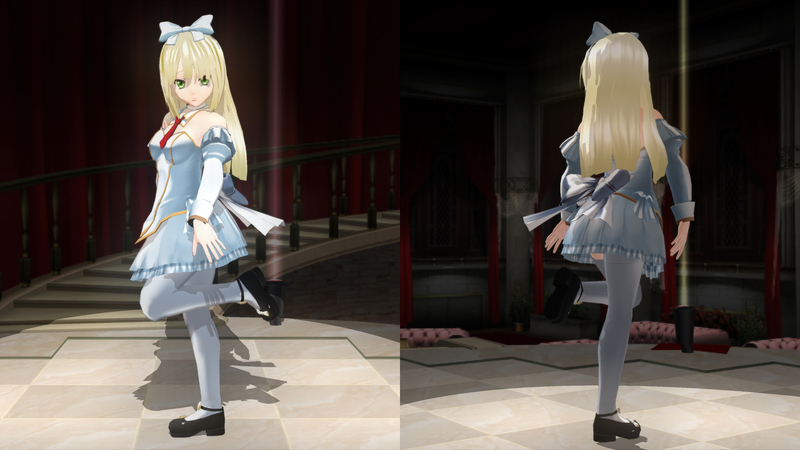 Sadly, there are no other outfits with large ribbon on waist except the Wa Skirt.